Yet another delicious smoothie bowl! Easy to prepare and so thick and creamy, you can eat it like soft serve ice-scream! 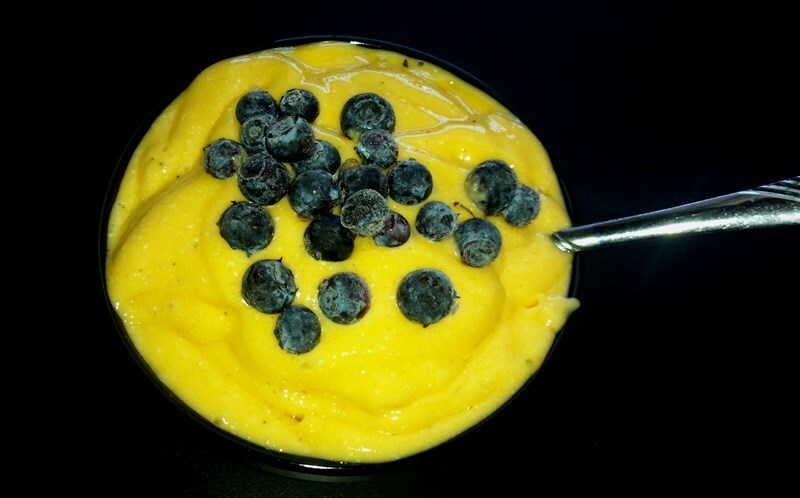 Blend all the above ingredients together in high powered blender. The mixture will be thick, so if you don’t have a Vitamix or Blentec, you will have to start and stop the blender to push the mixture around and make sure it is fully blended. 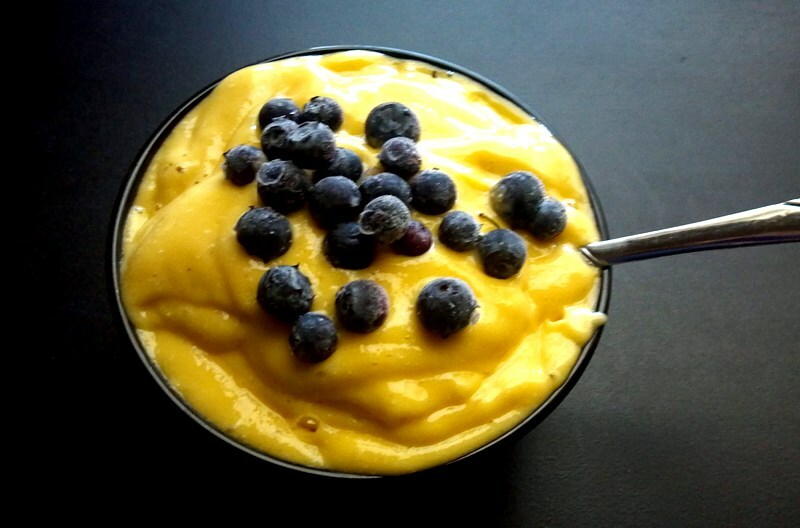 Pour into a bowl, top with fresh or frozen blueberries and eat! This is a great lunch option, and yes, you can eat it as a meal! This sounds interesting – but why do the bananas need to be frozen rather than fresh? Frozen because it’s a smoothie bowl, so it wouldn’t be an ice-cream like consistency if the bananas were fresh. You use fresh bananas, it would just be more liquid!